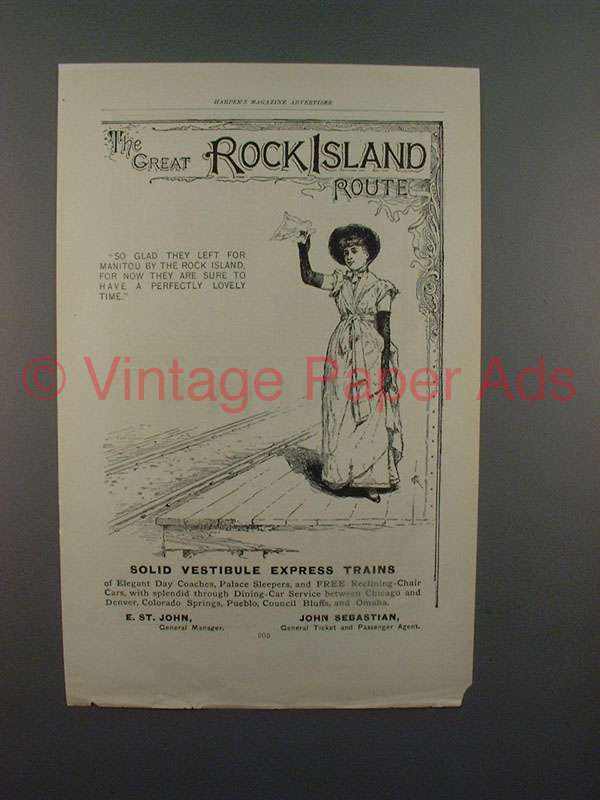 This is a 1890 ad for a The Great Rock Island Route Train! The size of the ad is approximately 6.5x10inches. The caption for this ad is 'So glad they left for Manitou by the Rock Island, for now they are sure to have a perfectly lovely time' The ad is in good overall condition, with a few small pieces missing from the bottom. This vintage ad would look great framed and displayed! Add it to your collection today! 1929 Rock Island RR Golden State Ad, Luxury! !